God will use Anything to get our attention sometimes...even ol' hair dryers! You know those filters your hair dryer has- that you're suppose to clean out from time to time ;p well one particular morning I was trying to clean out mine to get the ol thing to dry better- it had def lost some of it's blowing power- so I removed the end -cleaned it out and put the cap back on and proceeded to dry my hair. I noticed though that it didn't seem all that much better- still running a bit slow and with less power then it was capable of but I proceeded anyway. About half way through though I 'accidentally' dropped the thing and wouldn't you know the filter cap popped off and with it Another filter flew out. Yep my dryer has 3 filters and I was oblivious- so of course that extra one was crazy full of lint/dust. 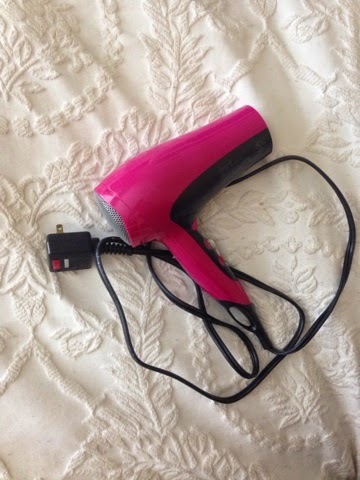 After I took care of it-put it all back together and turned it on- it was like new again- my hair dried in seconds! He said, "Sommer quite often you are like that hair dryer... Your life's so full of 'stuff' that you can't run as I've created you to. Sure the stuff can all be good- but it isn't all that I've asked of you- remember, "my yoke is easy & my burden light" (Matthew 11:30). When you fill up your life with so much it leaves you with less energy -often feeling drained or overwhelmed. Most importantany though the things I've called you to you aren't able to be your Best at. When you clear out the 'junk' -all the extras- be those things good & great- you'll find you have more energy- work more quickly & with ease- you'll have room for margin when other things 'pop up' that you hadn't planned for -things/people I place in your path to bless." God is Good... And He always speaks Truth in Love.